Now when I chose the two scents I picked them out with the idea of using them together as a home fragrances, so for this purpose they work perfectly. The combined fragrance wouldn't be something I would personally wear on my body, but I'm sure if you like these kind of sweet, spicy yet musky scents you could of course wear it as a perfume. This time of the year I love adding a different home scent around my home and this is perfect. 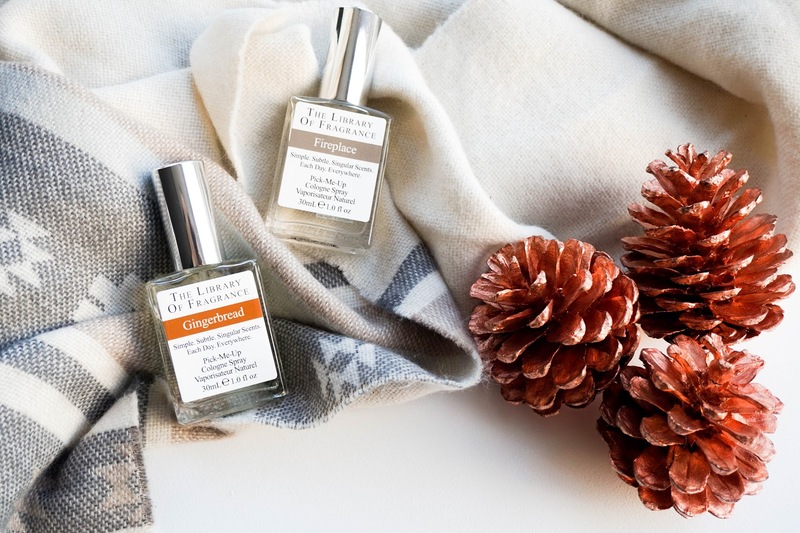 I'll light up some candles, spritz this duo around the flat... then I am ready to enjoy an evening snuggling up on the couch, surrounded by a comforting winter scent & a lovely atmosphere overall. Let's start off with the Gingerbread scent, which is identical to what I would I imagine gingerbread to be like. I'm actually not a fan of gingerbread as a food item, I never eat the gingerbread men, houses, etc. but oddly enough I do love the scent. This is sweet and spicy at the same time which I love. It has rich tones with vanilla and ginger as the main notes. It's definitely a very warm and sensual kind of scent. The Fireplace scent is a little bit different from what I would usually opt for, it's definitely one of the more unique scents available. There's nothing more comforting than having a fireplace lit up during a cold winter's day, but this is London and my flat doesn't have a fireplace, so being able to recreate the scent is amazing. There is a very distinctive musky & woody note to this, which is rich and warm. Personally it's definitely not something I could use on its own, but combined with the sweeter Gingerbread scent, it's balanced out perfectly. 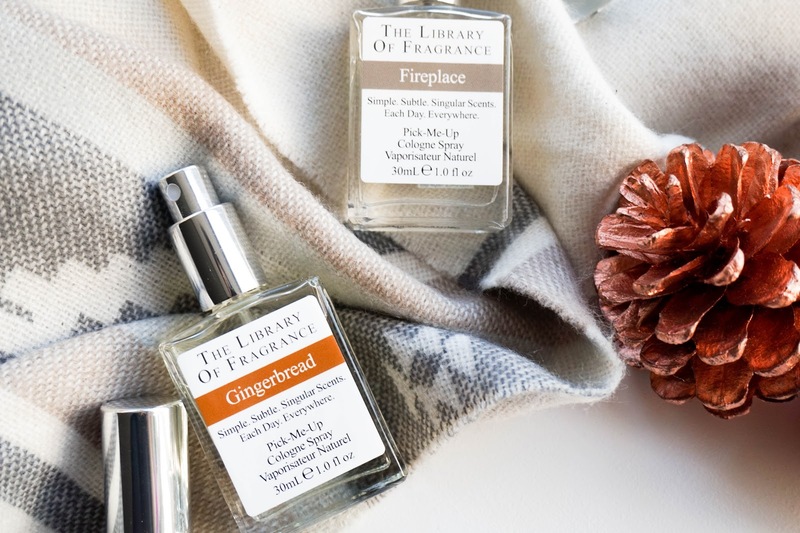 Once again I'm really pleased with this duo from The Library of Fragrance and I love having this comforting home fragrance for this time of year. Have you tried anything from the brand yet? If you have, what's your favourite scent?